Laura Madeleine met with several of the youth from the leadership group at the church along with Pastor David Smith. 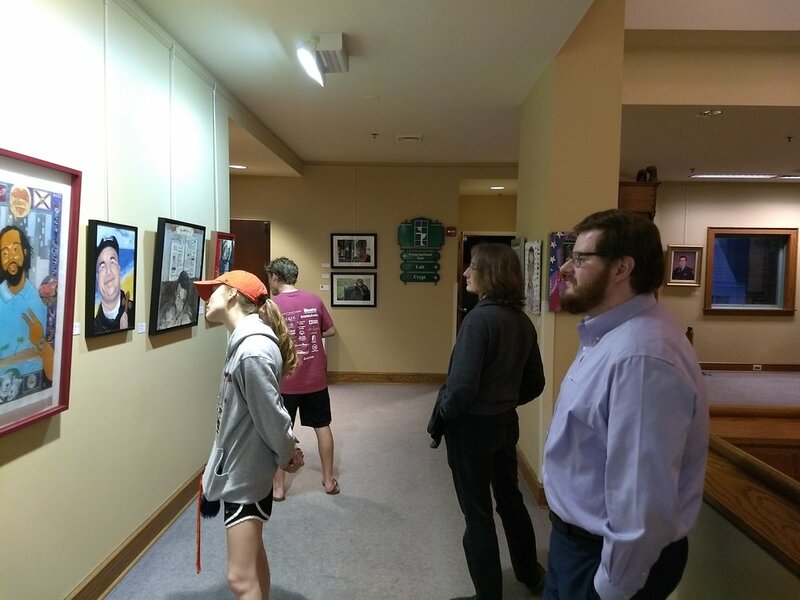 They learned the history of the project and toured the portraits. There was an in depth discussion of many aspects of the exhibition - the different approaches and media used by the artists, how details of the lives were revealed, the importance of these images, and the importance of encouraging more people to really look at these faces and be moved to action. Souls Shot portrait project is grateful to them for their questions, comments, insights, and dedication to helping spread the word about this poignant exhibition. Thank you!